Are you in need of roof snow removal and/or ice dam removal? Our winters are getting more difficult every year. 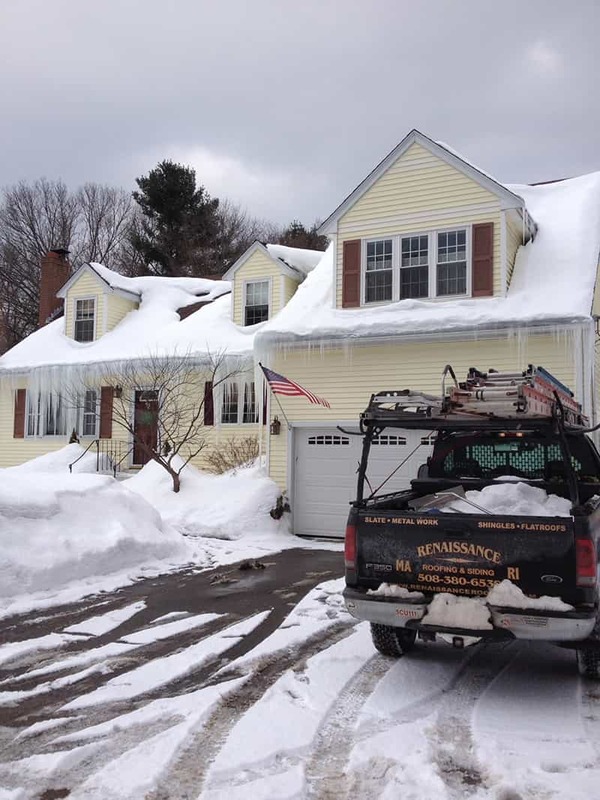 Large snow falls and roof melting can create a dangerous situation at your home or office. 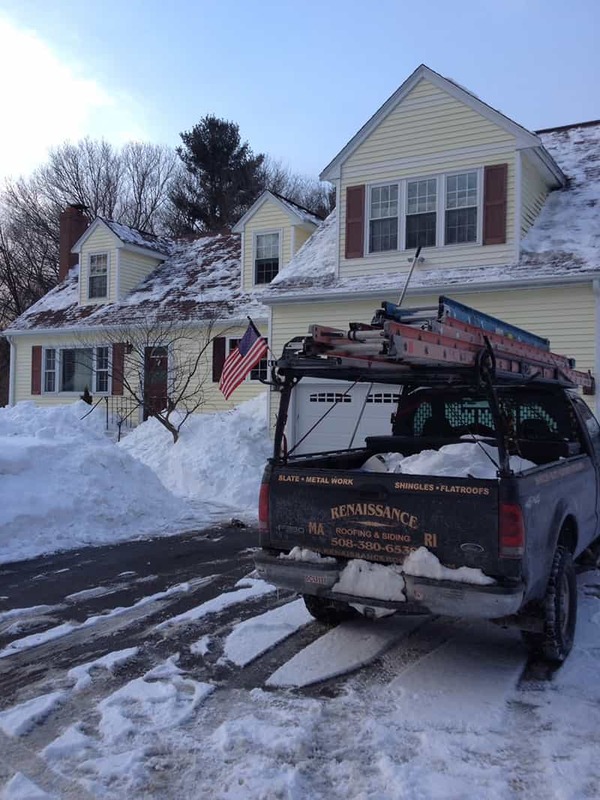 At Renaissance Roofing we have a dedicated team of experienced employees who can remove snow and ice from the roof of your home or your business. Additionally our employees understand that safety for your home as well as the people who are on your roof is a concern that is why we are careful to prevent any roof or property damage while on the job and follow the proper safety measures as needed. We are fully licensed in the states of Rhode Island ( RI ) and Massachusetts ( MA ) and offer competitive rates. Roof snow removal is important for taking the stress off of your roof and for reducing the chance of ice dams. 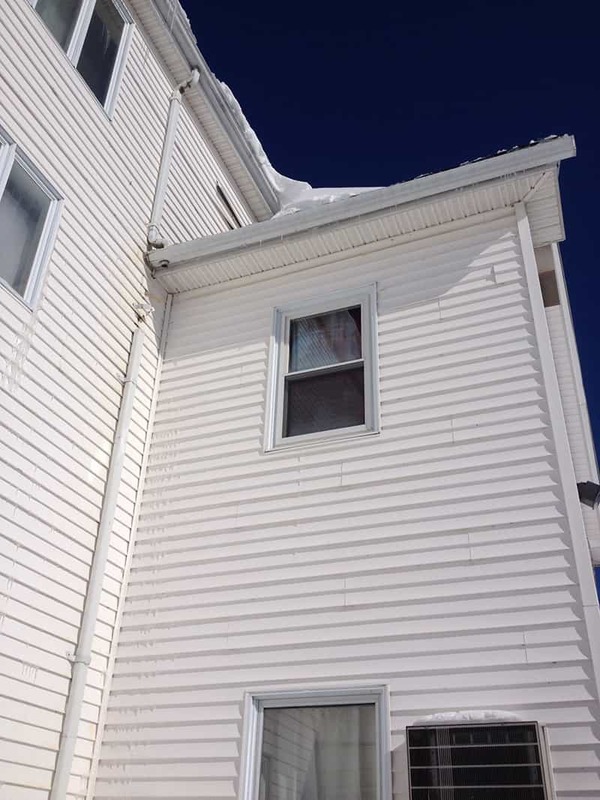 Removing the snow from your roof eliminates melting and refreezing of the snow, which, over time builds up and forms ice dams that can cause serious interior and exterior damage to a house or personal injury. As the winter progresses each snow fall adds more weight increasing the changes of a roof collapse and severe property damage. Renaissance roofing also offers ice dam removal. 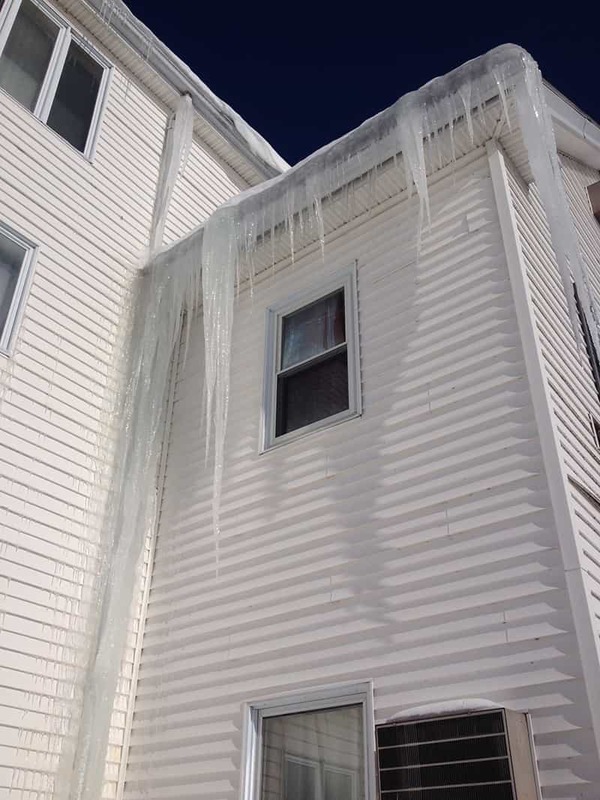 Ice dams are formed when snow melts on the warm portion of your roof and refreezes over the cold eaves. This water will begin to back up under the roof system and eventually find its way into your home or office causing damage to your walls and ceilings. 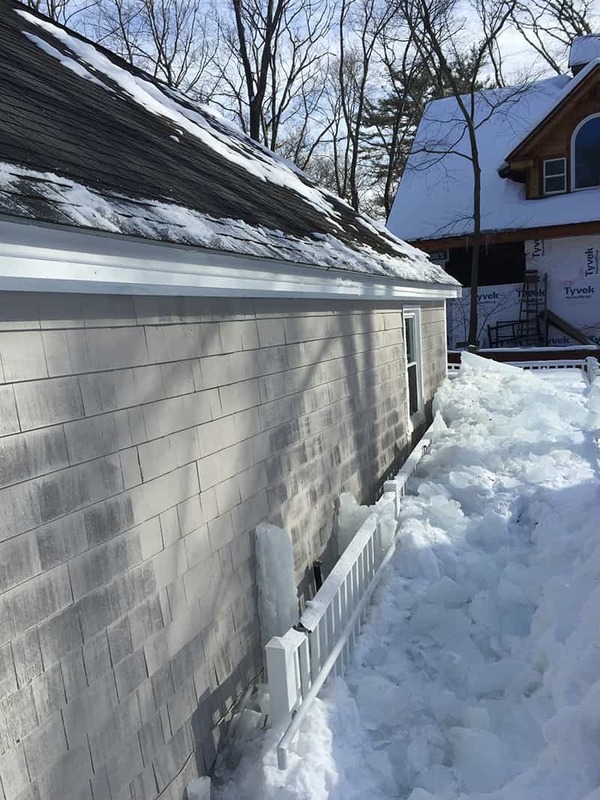 Ice dams can form quickly and resulting damage can be very expensive to repair. 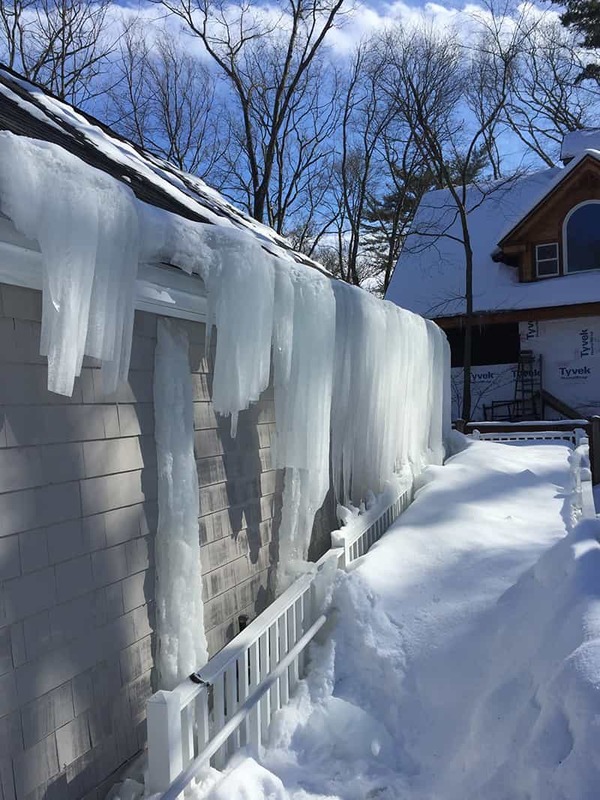 Our experts will come out to your home in a timely manner, evaluate the problems and remove the snow on your roof and /or remove all of the ice dams on your home or business. For more information about our roof snow removal or ice dam removal please contact us today.